It’s doubtful that many disc golfers thought much about the Czech Republic before 2016. That was the year, however, that SpinTV first provided a mass audience with a chance to admire the lush grass, idyllic forest, and—of course—the looming 13th-century castle that are the hallmarks of the Franz Ferdinand course where the Konopiště Open is played. The course was not only beautiful but challenging. And it didn’t hurt that its first time in the limelight, Simon Lizotte hit one of the most clutch eagle shots in the history of the game. Though the Disc Golf World Tour—the event series that first brought the best in the world to Konopiště—is now on hiatus, the people behind the Konopiště Open have no intention of letting the tournament fall by the wayside. After learning that the DGWT would not take place in 2018, the organizers applied for status as a PDGA Major. Their success in this effort means that not only is the 2018 Konopiště Open the Czech Republic’s first Major, it’s also the only Major in Europe this year and the first outside of Northern Europe—the sport’s traditional stronghold on the continent. With names like Paul McBeth, Ricky Wysocki, Eagle McMahon, and Nate Sexton deciding to make the trip overseas for multiple years to attend this event, it’s clear that the crew behind the Konopiště Open is doing something right. 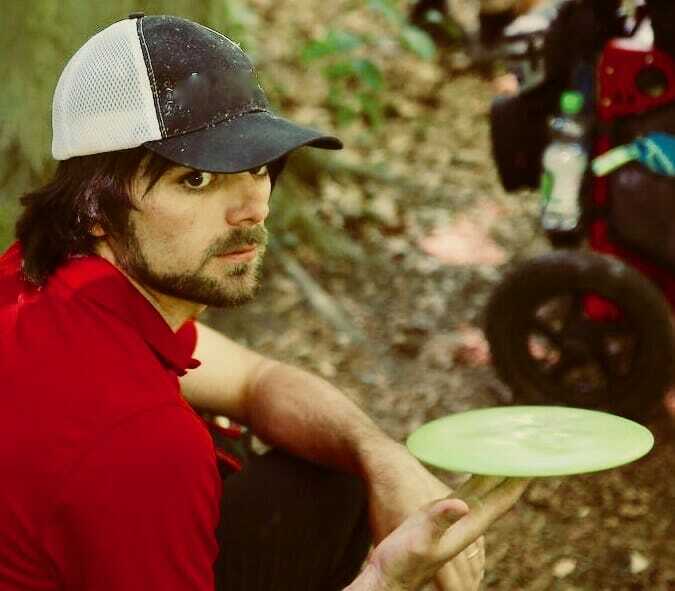 In order to find out a little more about how the tournament grew into what it is today and what it’s success is doing for Czech disc golf, we took some time to chat with tournament director Přemysl Novák. Ultiworld Disc Golf: Tell me a little bit about the history of Konopiště. Novák: [jokingly] I guess you mean the tournament and not the castle? UWDG: Actually, I think we should start with the entire history of the Czech Republic. UWDG: [laughing] Sorry, yeah. I’d like to know more about how the Konopiště Open got started. We then brought the idea of organizing a big, international event to [Discmania CEO] Jussi [Meresmaa], thinking that an event like this would promote the Czech Republic as a disc golf country. It could also put disc golf in the spotlight for the Czech media. Really, the ideas behind this event have stayed the same: make waves in the Czech media that promote disc golf and make an impact on the international disc golf scene. The first Konopiště Open was organized in 2013 as the Czech Championships, and it’s just grown every year. In 2014 it was the Czech Republic’s first B-Tier and the first event in the country with a payout. In 2015 it was a EuroTour [event], in 2016 and 2017 it was part of the DGWT, and this year we finally reached the [PDGA] Major status. UWDG: And how do you get the Czech media to pay attention to the tournament? PN: [Disc golf media outlet] SpinTV makes a 15-minute post-produced video that airs on a national Czech TV station a week after the tournament. We’d pushed the station to pay attention to the tournament since our second one in 2014, and they aired coverage for the first time in 2016—so, two years of pushing. UWDG: How did you get permission to use the area around the historic Konopiště Castle as a space for a disc golf tournament? PN: The land is technically owned by the Czech government, but its usage rights are owned by another company. We talked with this company, and they let us rent the land for the tournament—about €2,500 for the whole week. But because the land is historic, we also had to get permission from the historical department. We also work a lot with the closest town to the course—Benešov. PN: We didn’t ask for much, to begin with, just cooperation and a few people to help in the park. Now, the city is happy that we bring like 300 players here every year that need accommodation and so on, and they help us with promotion in the city—getting the word out to local people, getting in local newspapers. Actually, this is the first year we asked for and got financial support from them. 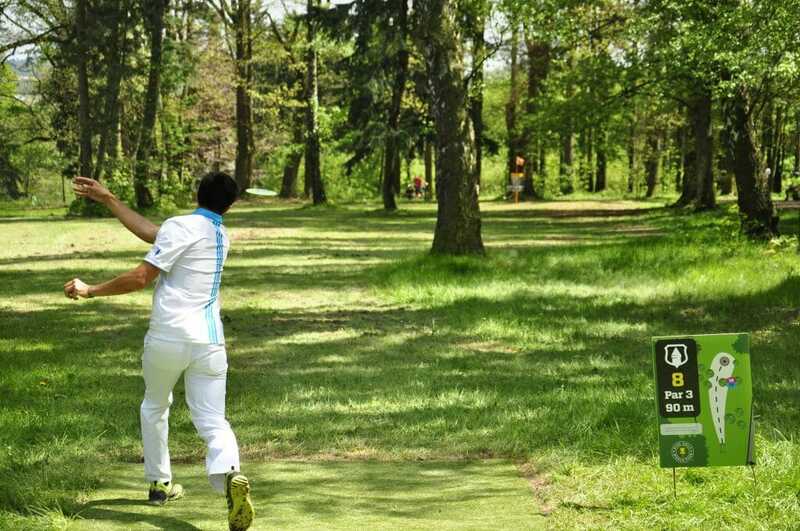 We also have a great relationship with the tournament hotel [Hotel Nova Myslivna], and they even recently bought a permanent 9-hole disc golf course. And, you know, I designed the course, but I haven’t played it yet. UWDG: And did you also design the course for the Konopiště Open? PN: The long-time best Czech disc golfer Lukas Filandr and I did the original design for the course. But in 2015 before the EuroTour was played, Jussi Meresmaa did a slight redesign that made the course more fun for the best players in the world—lengthening a few holes. That’s the thing about the Franz Ferdinand course—it’s a great course and challenging for the best players, but for your average players, it might be too long to be fun. That’s one reason we started organizing our [amateur-focused] Challenger event on a course that’s just 2,251 meters [7,385 feet]—so that everyday golfers like me can have something a little less frustrating. But, of course, I love watching great players throw on the Franz Ferdinand course. It’s something everyone should see once in their life. UWDG: What effects has the cancellation of the Disc Golf World Tour had on your planning this year? PN: The thing is, it didn’t affect the event that much, but mainly because we got Major status. For us, the DGWT was mostly about receiving help from Jussi Meresmaa and SpinTV to present the tournament to the world. But Jussi will still be here with SpinTV this year, so in that sense, it’s not much of a change from before. UWDG: And, finally, can we expect any changes to the course this year? Well, there are some changes, but they were…forced. There were some big storms during the winter, and some trees fell down. Some holes will probably be a little easier, especially hole 12. There was a small forest of spruces, but they’re now gone. Instead of 20-something trees, there are now, like, four or five. The green is much more open and can be reached with a sidearm, and not just a backhand like before. Comments on "A Chat With Konopiště Open TD Přemysl Novák"